Our athlete is 5’7” 160 lbs. 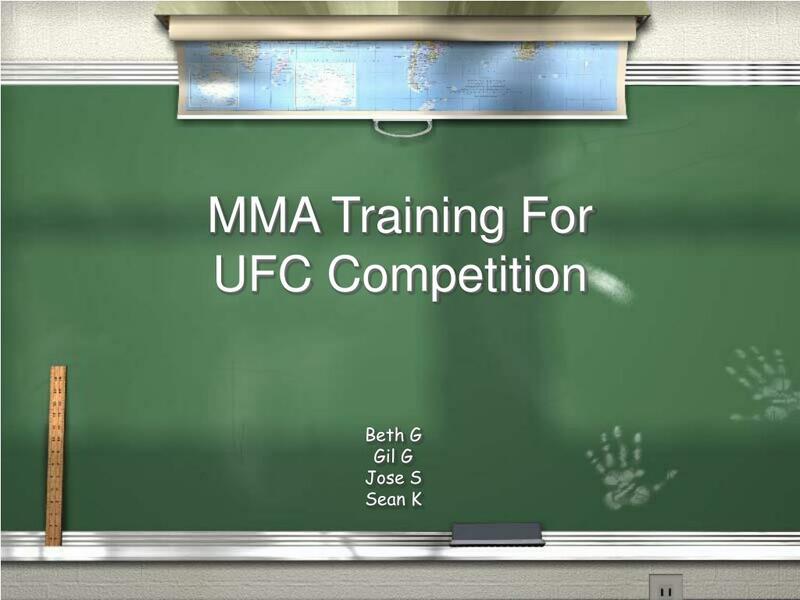 Mixed martial arts (MMA) is an intense and evolving combat sport in which competitors use interdisciplinary forms of fighting that include jiu-jitsu, judo, karate, boxing, kickboxing, wrestling and others to their strategic and tactical advantage in a supervised match. 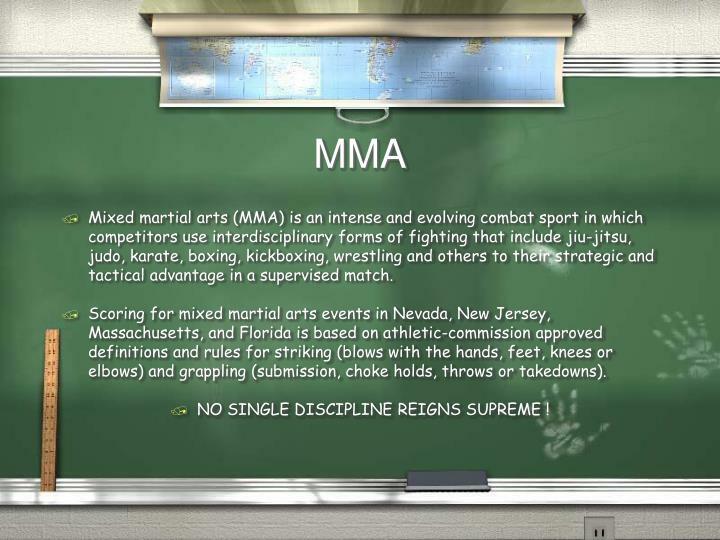 Scoring for mixed martial arts events in Nevada, New Jersey, Massachusetts, and Florida is based on athletic-commission approved definitions and rules for striking (blows with the hands, feet, knees or elbows) and grappling (submission, choke holds, throws or takedowns). NO SINGLE DISCIPLINE REIGNS SUPREME ! 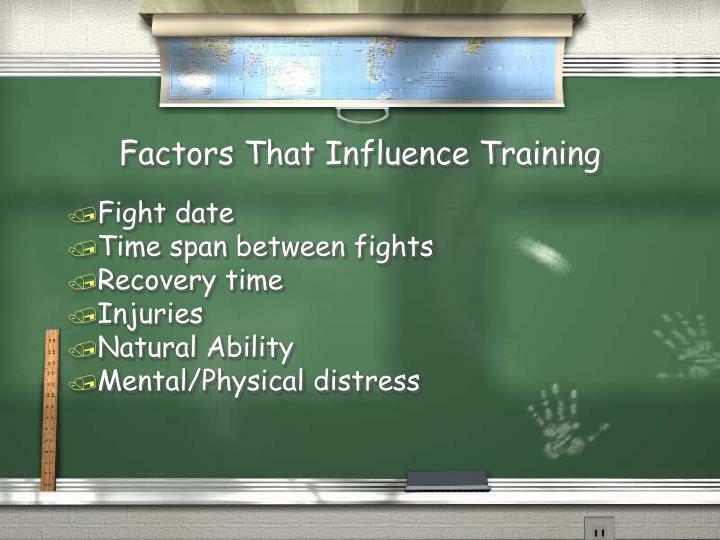 Standup:Boxing, Kickboxing, Muay Thai, and/or full contact karate are trained to improve footwork elbowing, kneeing, kicking, and punching. 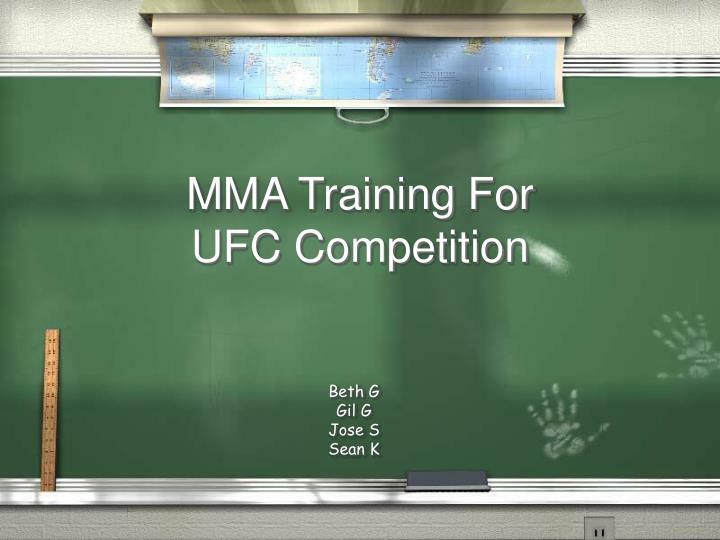 Ground:Brazilian Jiu Jitsu, Shoot Wrestling, Catch wrestling, Judo and Sambo are trained to improve submission holds, and defense against them. Brazilian Jiu Jitsu and amateur wrestling are trained to improve positioning and maintain ground control. Positive Angles - Proper positioning of the ankles, knees and hips in relation to the torso. Coordination – Synergistic muscle’s effects on various muscle groups for the production of a specific movement. Proprioception: the ability to sense the position, location, orientation and movement of the body and its parts. 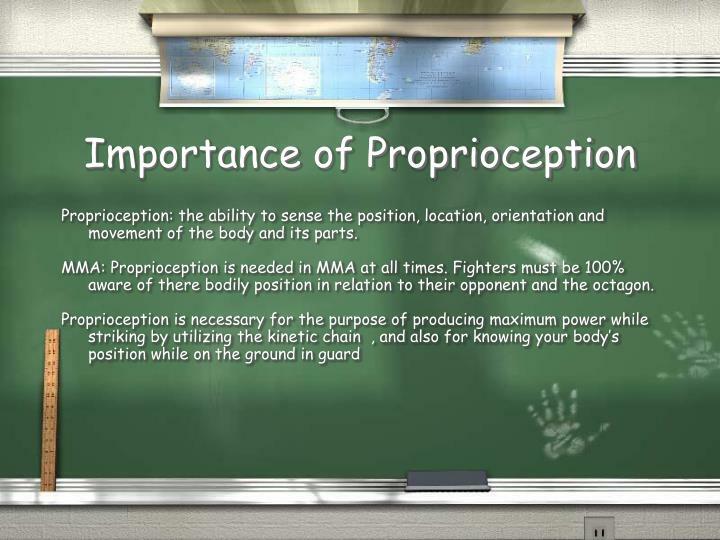 MMA: Proprioception is needed in MMA at all times. Fighters must be 100% aware of there bodily position in relation to their opponent and the octagon. 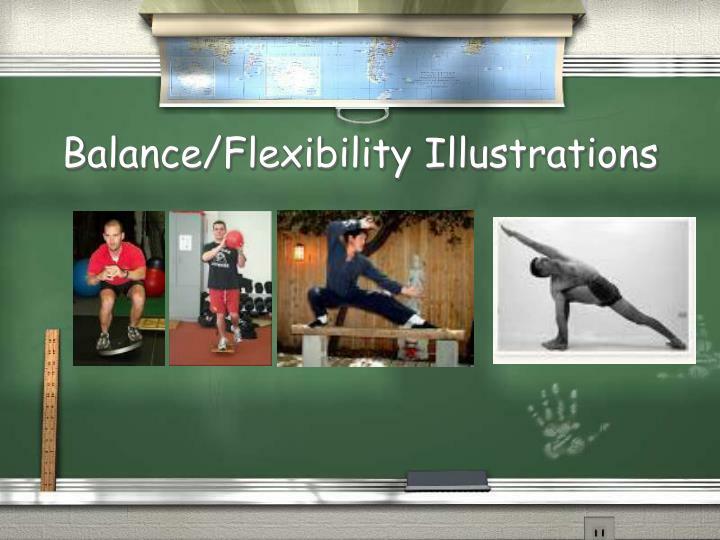 Flexibility/ROM :The ability to move a joint through its complete range of motion. MMA: Fighters need flexibility to efficiently perform routine attacks such as kicking, punching, and grappling. 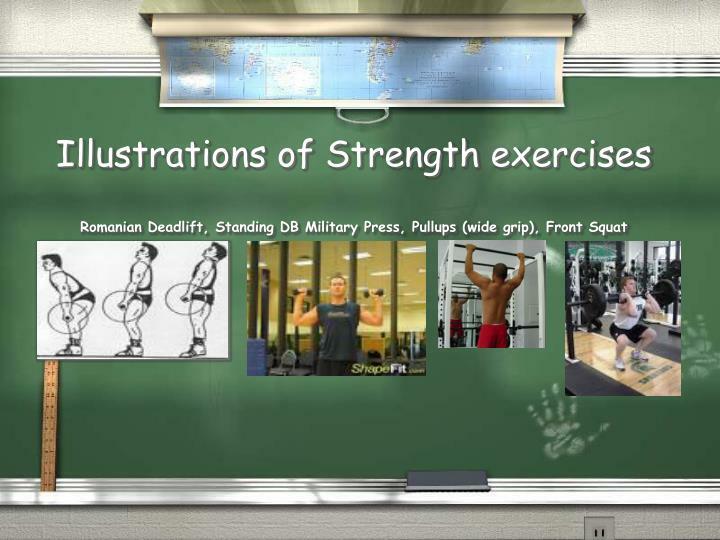 Hypertrophy/Strength Phase – This phase will last about 12 weeks. The main focus of this phase is to increase our athlete’s muscular size, lean body mass and strength. The first microcycle will last about 6 weeks, utilizing moderate volume and moderate intensity (75% of 1RM for 3-6 sets of 10-20 reps with about 1-2 minutes of rest between sets) . The latter 6 weeks will shift towards strength training rather than hypertrophy, utilizing high intensity and moderate volume (80-85 of 1RM for 4-8 reps while maintaining HR ( Circuit Training, Supersets, Complexes) to imitate actual demands of sport . Workouts should be performed 3X a week in conjunction with sports specific drills on days the athlete is off. Emphasize compound movements rather than isolation movements. Power (Speed Strength) Phase/Peaking Phase- Phase 2 lasts about 12 weeks. This phase is geared towards utilizing Strength and Hypertrophy gains from Phase 1, and incorporating a time factor to produce explosive power. The main focus of this phase is to develop explosive power, maintain that explosive power throughout the macrocycle and into the fight. The first microcycle will last about 6 weeks consisting of high intensity movements with a lower volume and longer rest (90-95% of 1RM 3-5 sets of 2-5 reps with a 3-4 min break between sets. The second microcycle incorporates a peaking phase. Intensity increases (95-100% of 1RM 1-3 sets per exercise of 1-3 reps. Sports Specific Training must also be done in conjunction with this phase. Power workouts should be performed at least 3X a wk. 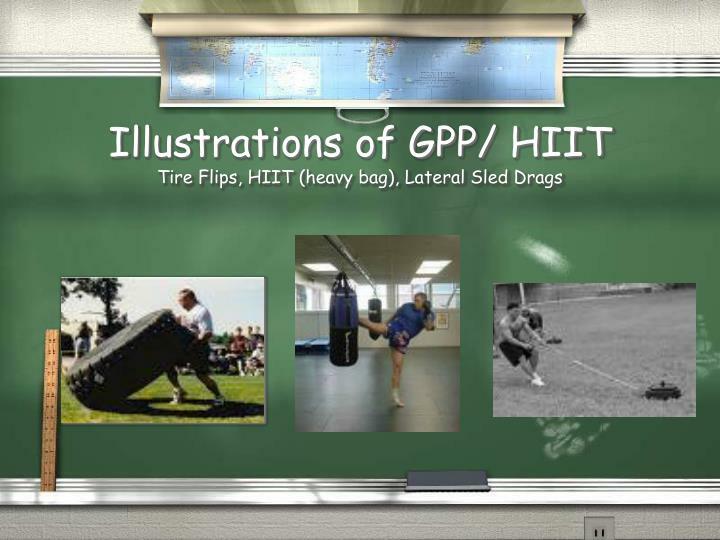 GPP (General Physical Preparedness)/ HIIT (High Intensity Interval Training) – This phase is geared towards improving over conditioning of the athlete in relation to the strength/power gains of the previous 2 phases. The phase lasts 12 weeks and is split up into 2 microcycles, HIIT and GPP. 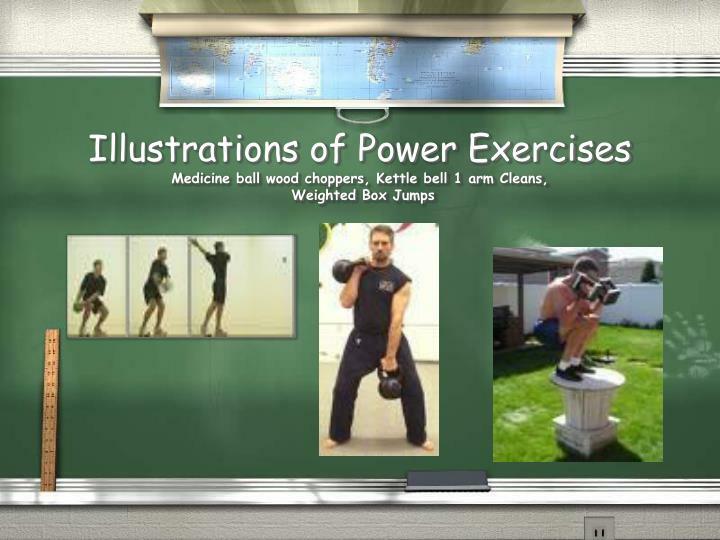 Now it is time to train our athlete to maintain explosive power throughout specific work-rest intervals. The goal is to progress onward with training the energy systems until the athletes output meets the work- rest ratio of 5-1. Intensity must remain constant while volume is increased and/or rest is decreased. 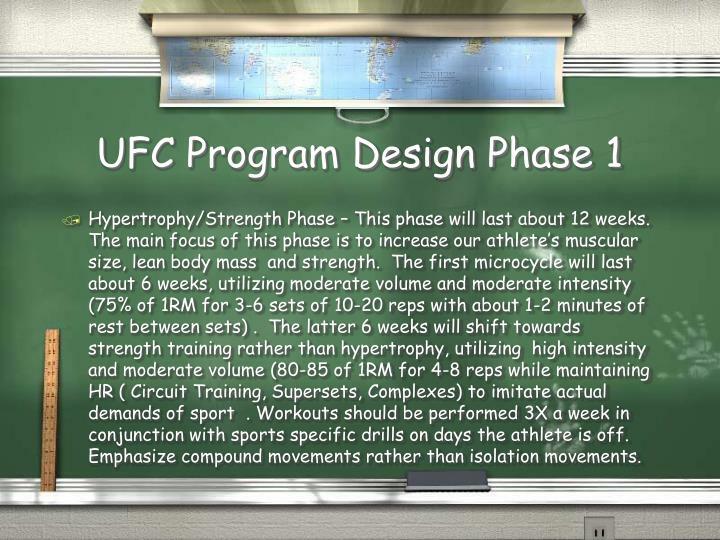 Sports Specific Training should be incorporated into this phase. Sports Specific drills will be focused on for 30-60 min. a day about 2-3 days of the week up until the fight maintaining intensity, but lowering volume to counteract overtraining for the remaining 6 weeks until the fight. What is the work to rest ratio for MMA ? How is the Preseason for MMA described ? 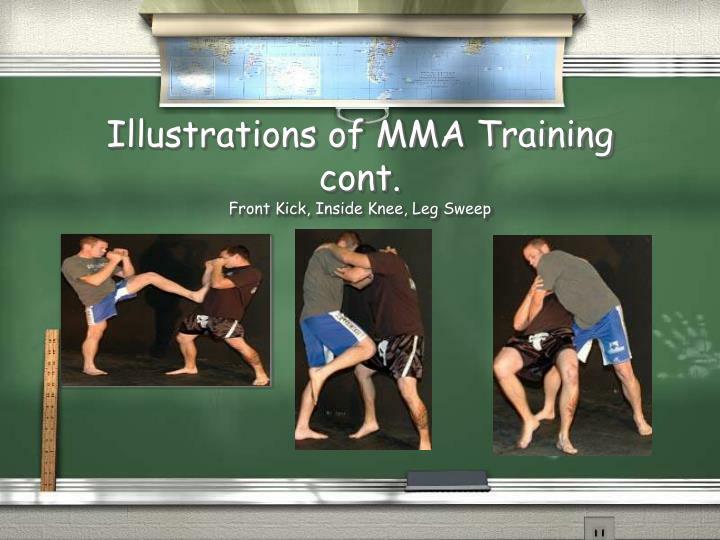 An Example of a takedown is a ….? 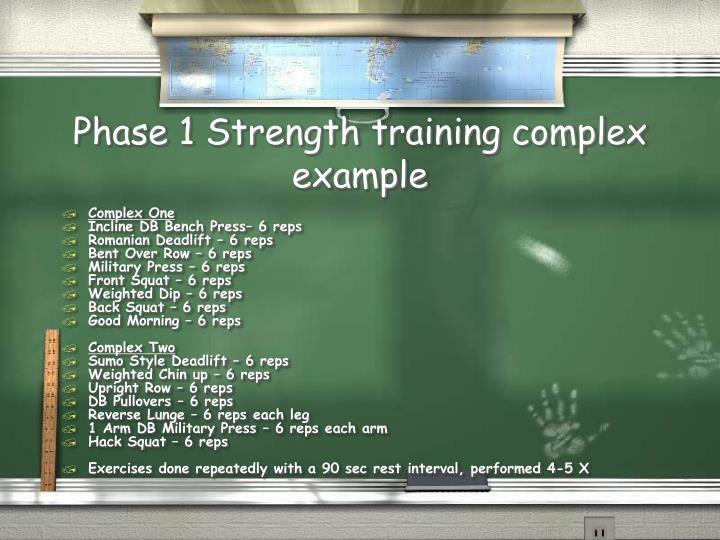 A “Complex” should be incorporated into which training phase ? Sports Specific Training should be included in which of the following Phases ?